My wife Julie and I are blessed to have a large family residing in the Chicagoland area. We are especially happy to have TEN grandchildren close by. When not caring for patients, spending time with family, traveling, and playing golf all keep me busy. I’ve been practicing orthodontics in Chicago’s south suburbs for over 40 years. I have been lucky enough to treat over 15,000 satisfied patients. Mentoring dental students and helping provide the way for future orthodontists is part of my way to paying it forward. I can honestly say I am as excited about the field today as I was when I started seeing patients! Orthodontics, in my opinion, is the greatest profession in the world. I have been pleased to work at a job I love: “work” has never felt like work. I wish I could straighten every crooked tooth out there! My membership in following professional organizations enables me to stay on the leading edge of orthodontic treatment for my patients. I grew up in Orland Park and currently live in Hinsdale with my husband Ryan and our daughters Vivian and Svea. We love the small town feel of the community and surrounding areas so please make sure to say hello if you see me around town! In our free time we enjoy trying new restaurants, staying active on walks with our dog Stella, and spending quality time with family. As the daughter of a dental hygienist, dentistry has always been in my life. My family stressed the importance of education so I focused on building a strong foundation for my future. I was always interested in healthcare and the profession of orthodontics is the best combination of health and esthetics. My love for orthodontics started in undergrad when I actually worked for Dr. Petty as clinical assistant. You could say he is a big reason why I am in orthodontics today. We always knew we would make a good team someday so I am especially excited to come full circle and stand next to him today not as a clinical assistant but as a fellow orthodontist! I feel considerably blessed to be in a profession where I have the opportunity to help people gain confident, beautiful smiles. Orthodontics is my passion and I truly love what I do everyday. Having my daughter Vivi, has given me an entirely different view of my profession. I now see the importance of orthodontics through a mother’s eyes. My favorite perk of orthodontics is getting to know my patients and their families. Making them a part of my extended family is very important to me. I want to hear about their latest achievement, trips, jobs; basically, I want to know their stories! When you are in the office I want it to feel like the comforts of HOME! 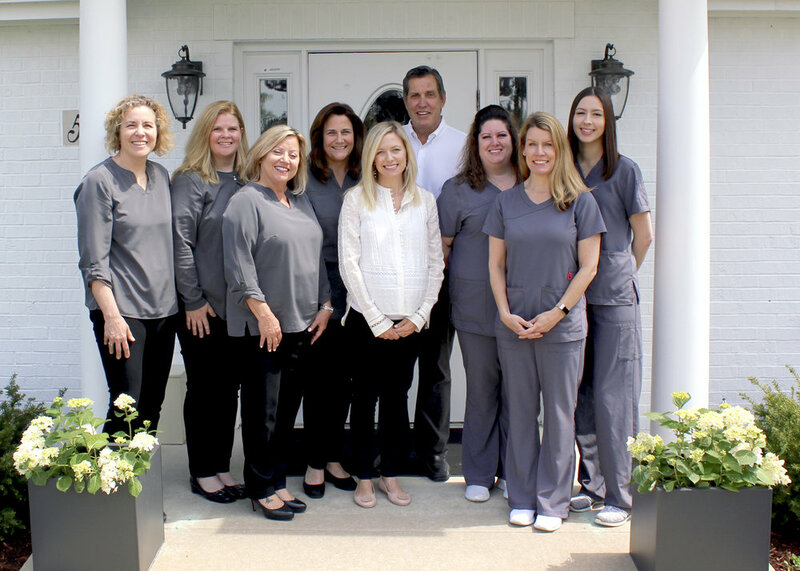 Your smile specialist team looks forward to getting to know you while helping you and we encourage you to get to know us. Achieving your perfect smile just wouldn’t be the same if it wasn’t fun and giving you something to smile about is the core of what we do. Stop by to enter our latest contest or find out what we’ve been up to in the community!